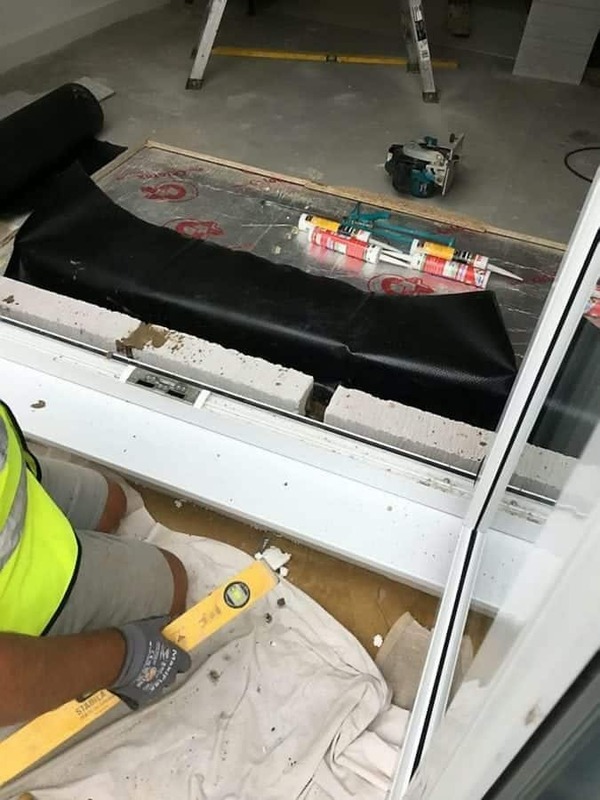 A couple whose new build dream home turned into a nightmare due to poor construction have put it up for sale – for £50,000 less than they paid for it. Furious Johnathan and Jillian Widlake want shot of their detached home just ten months after they moved in and described the property as a “sh*thole” in the advert. The Widlake’s problems began soon after they put down a £27,500 deposit on the £300,000 property in March last year. They claim they have since been dogged by long delays, shoddy workmanship, poor customer service and “un-kept promises”. The couple, who have a 10-year-old son, say the decision to move to the Wain Homes property in Honeymead Meadows in South Molton, Devon, has left them “in tears and unable to sleep at night”. 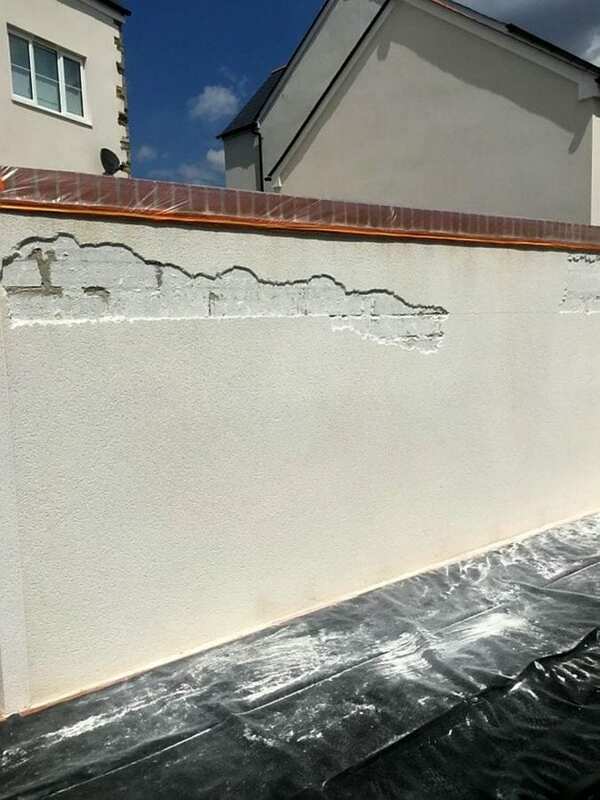 They claim the home was “very poorly built” and have had to endure leaky windows, unpainted walls, blocked drains, warped floors and a leaking garage. The family, who previously lived in South Wales in Ministry of Defence accommodation, said they even had to dodge a series of workman who were still trying to get the house ready on the day they moved in. 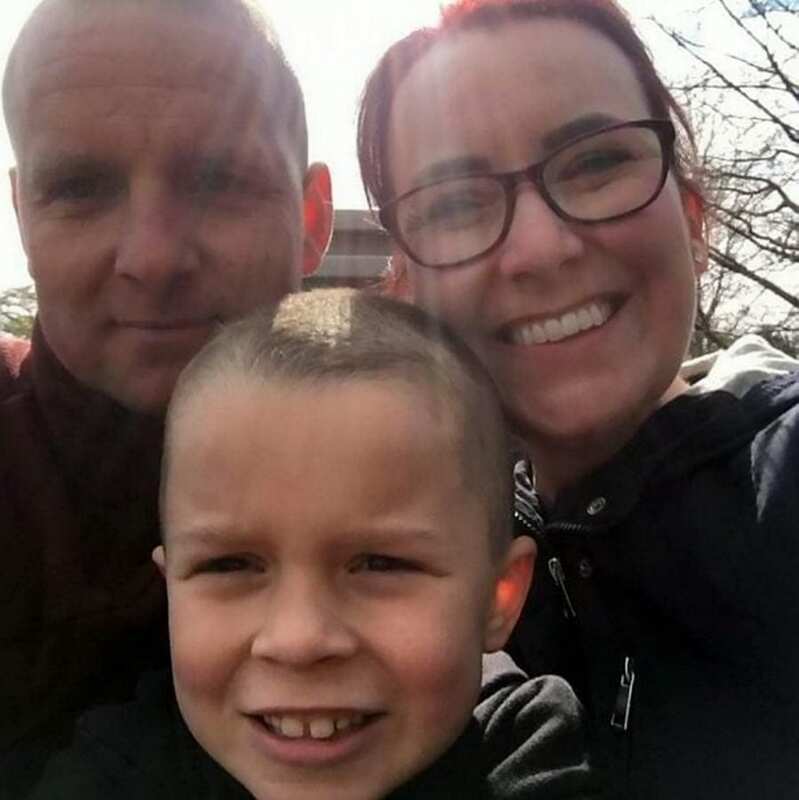 Jillian, 35, said: “We were told we could be in the house by June, but when a member of my husband’s family drove past the building site in May they said the house was no further forward than the last time we had seen it. “Before this, we had had no contact from Wain Homes to tell us that anything was wrong. “The date for moving kept getting pushed back and they then said it would be around the end of August. The date of the move continued to be pushed back and Jillian said she had to keep calling Wain Homes “endlessly”. She said: “It was delay after delay – the roof didn’t even go on until October. “Eventually they told us that December 7 was the cut off and that we would definitely be in by then. “We booked our removal company for that date but when we arrived in North Devon with all our stuff the sales manager asked if we could move in the following day instead. The following day, after finally getting the keys to their new home, Jillian and Johnathon opened the doors to find the house “full of workmen finishing off jobs”. Jillian added: “There were decorators painting the walls and other people laying the floors – it was nowhere near ready. “Our removal team had to go so we had to ask them to put all our belongings in the garage until the workmen had finished. “I was crying my eyes out by this point, one of the workmen in the house even gave me a hug and comforted me. But this was only the start of the Widlake’s problems with the house. Jillian said: “Straight away when we moved in, the fridge freezer, dishwasher and washing machine didn’t work. 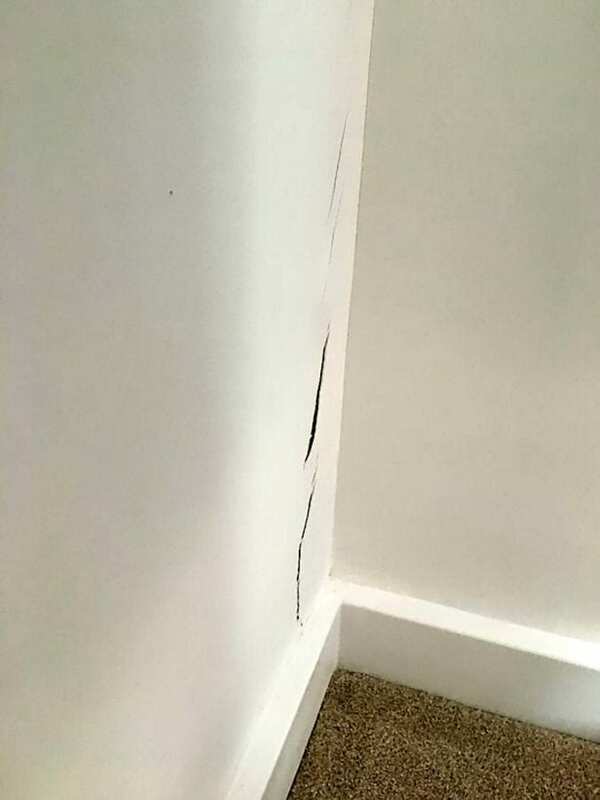 “There were incorrectly fitted windows that leaked and we have had big problems with the drains which keep blocking our toilets. “The wooden floors were so badly warped that we had to move out for three weeks while they were fixed. Jillian says the whole situation has left her and her family feeling “devastated”. She said: “I wish we had never bought it. This was supposed to be our first family home – we’ve always been in MoD accommodation before this. “The reason I wanted a new home is because my husband is often away with the military and I didn’t want to have to do any DIY. “I can’t sleep at night – I’ve had endless workmen in to fix things who have told me the work done previously isn’t right. 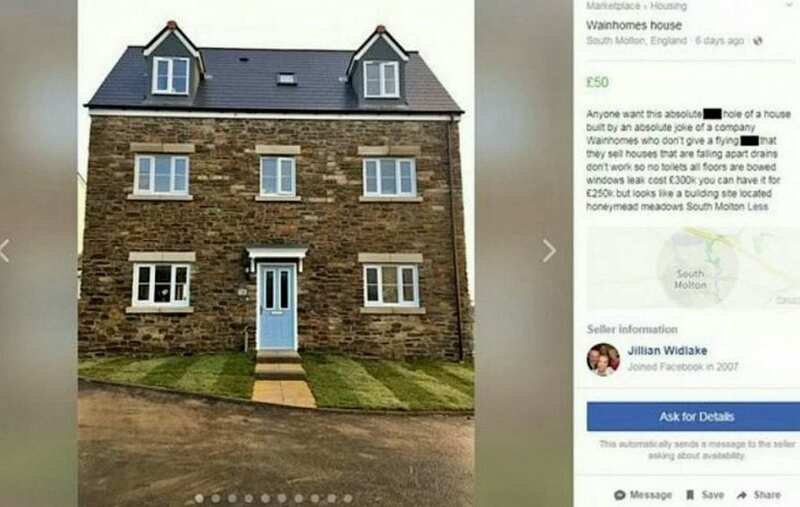 In her frustration, last week Jillian put an advert on a Facebook Marketplace page offering the house for sale for £250,000 – which is £50,000 less than it’s original asking price. Wain Homes said they had offered a meeting with the couple to try and resolve any outstanding issues. “We have visited the property several times to discuss concerns and have carried out a range of works, some of which over and above what is legally required, as a gesture of goodwill.